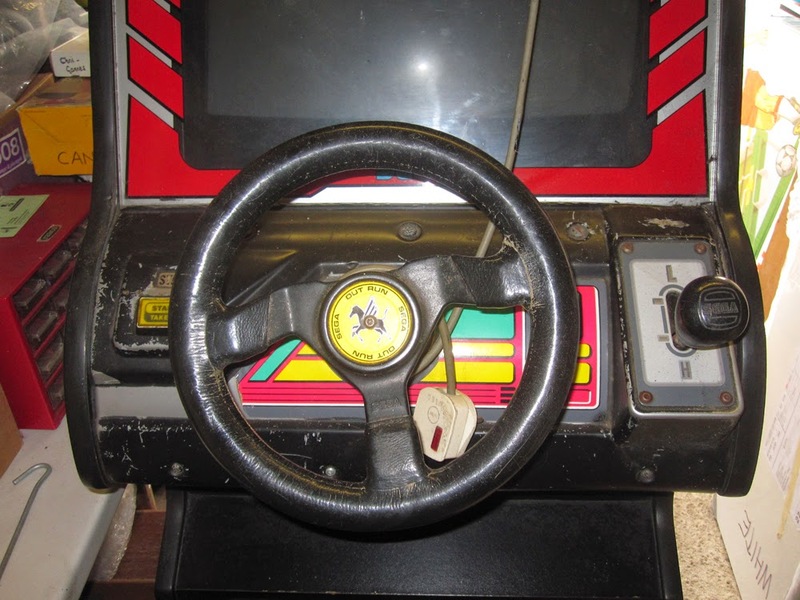 The Force Dynamics team have ported CannonBall to run on their 401cr motion simulator. It's particularly cool to see the terrain data is used to adjust the height of the simulator! 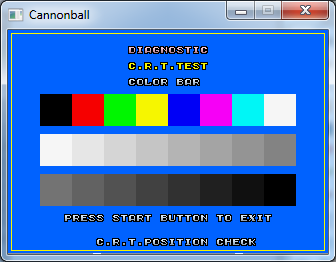 It's fantastic to see CannonBall running on everything from Android phones through to military grade hardware! Check out the video below. 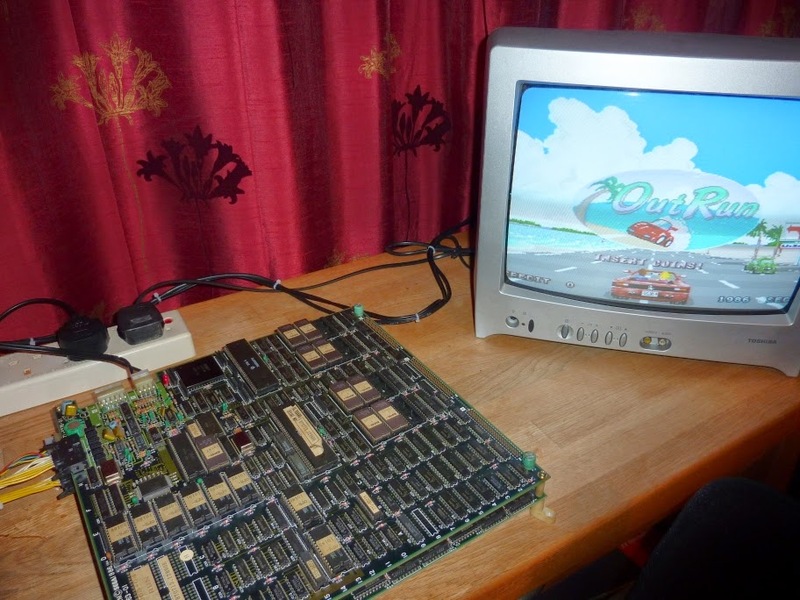 I pulled the PCB out of the machine and connected it with my test harness to a CRT TV. 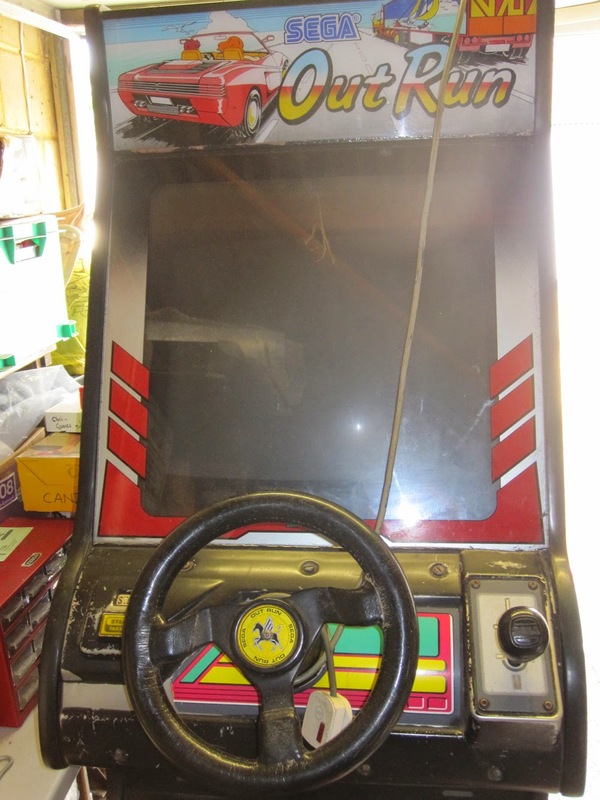 After sitting in a garage unused since the 90s it was surely never going to work? This is a version of CannonBall I meant to release a while ago, but moving house and family commitments ended up causing me to sit on it for a while. I suspect there may be some new bugs as there was a gap between coding and release, so please report anything found. I also spoke with Colin who is going to carry on with CannonBoard work soon. Behind the scenes a lot is done and ready to go from a software point of view. - Widescreen tilemap support for music selection screen. 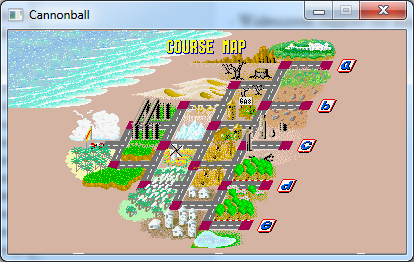 - Widescreen support for map screen. The sea on the left now extends further. 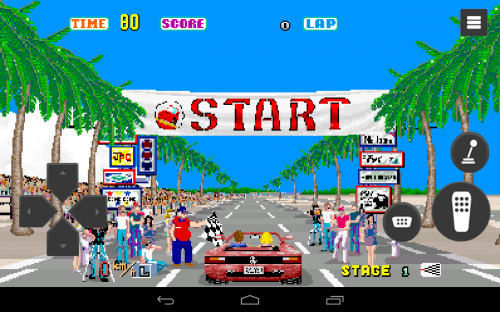 Also of note is the following project, which is a port of CannonBall to Android phones, tablets and other devices. There are some bugs and suggestions I have for the author, but overall it runs nicely! You will need to enable the installation of APK files from unknown sources in the Settings -> Security section of your device to use it. The author has kindly released the source code, which is available here. 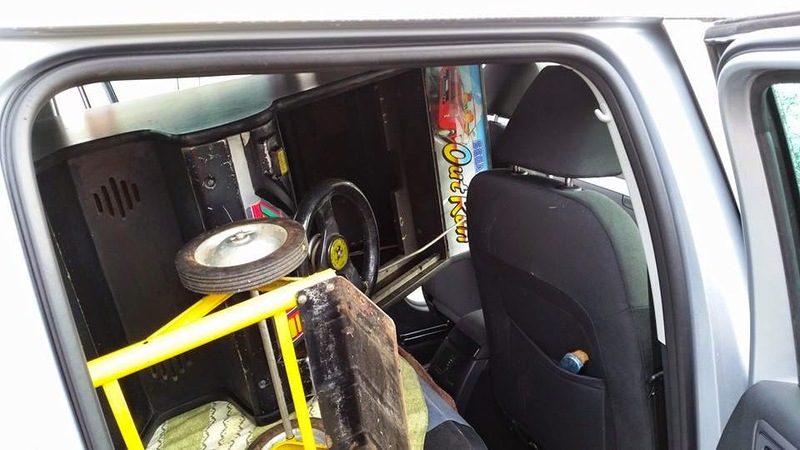 One benefit of moving is that I finally have space for my OutRun cabinet. 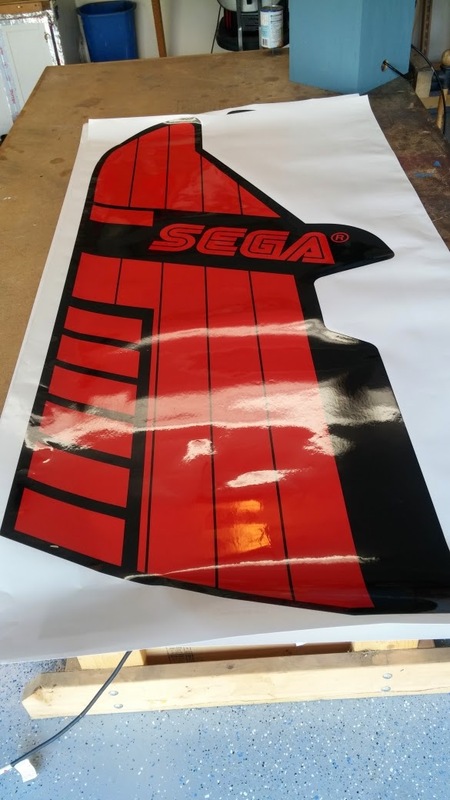 It needs a lot of restoration work, so I will be devoting a lot of free time to this project in the coming months as well as supporting Colin with his CannonBoard work. I'll post some pictures once I get going. Colin is busy at work with the latest iteration of the CannonBall hardware. 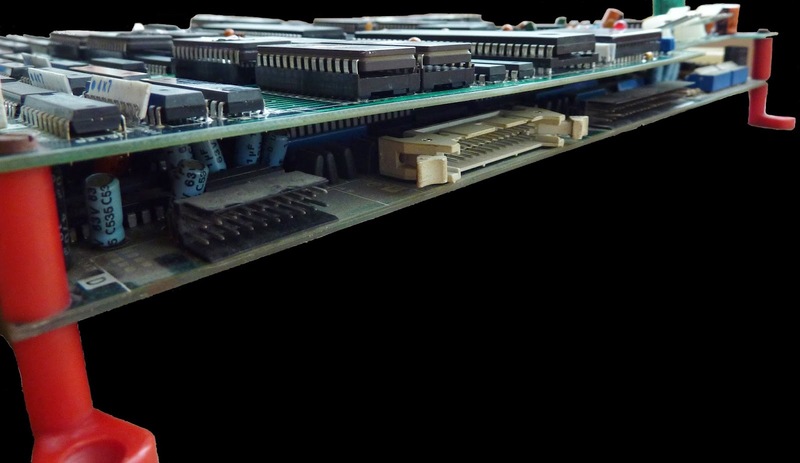 He's constructed a bare bone version of CannonBoard using the new board designed, and programmed with the firmware that we prototyped on the previous Arduino setup. Currently it's a minimal setup, with only the essentially components soldered into place (the CPU, the RS232 level shifting chip, some debugging LEDs, the resistors and capacitors). All looks good so far. This is a fun hack from Adrian Smethurst. 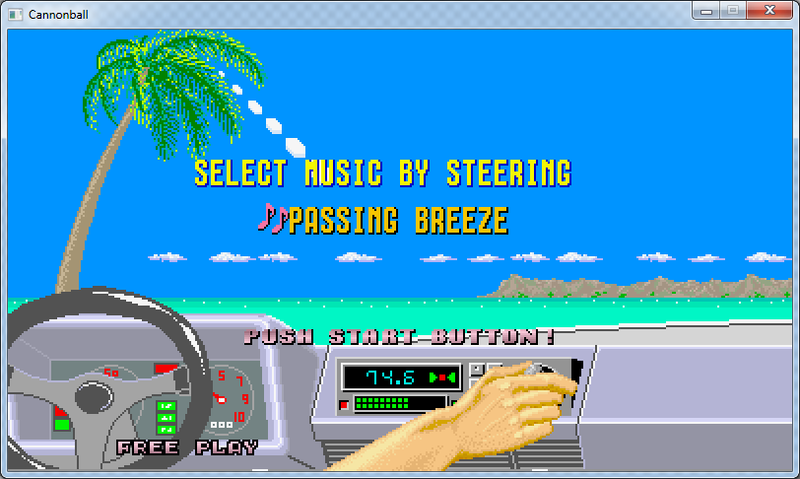 As might be expected, it turns out that the audio engines for Super Hang On and OutRun are very similar (both FM synthesis and PCM sample playing). 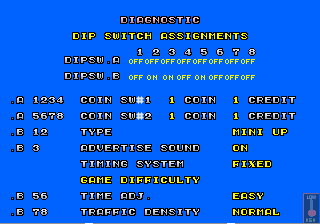 With a lot of patience and some reference to these blog posts (which I never expected anyone to find that useful), he managed to replace one of the tunes in Super Hang-On. 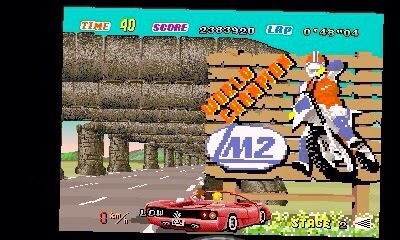 I downloaded the sheet music from mariopiano.com and set about on the most pointless 8 hours of my life! You can get away with doing that when you're only doing one track for a bit of fun, I wouldn't recommend it for anything more than just that though! 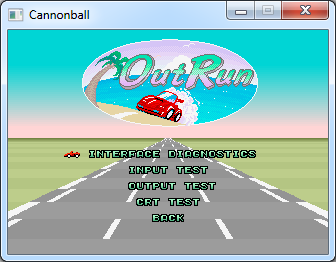 Adrian has also been working on some fun hacks using the OutRun Enhanced tools. I'll post these at a later date once I've integrated them in the package. 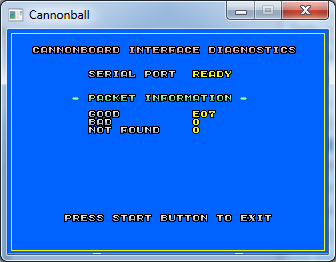 As a reminder CannonBoard is a project to enable OutRun machines to be cleanly swapped to a PC running CannonBall. 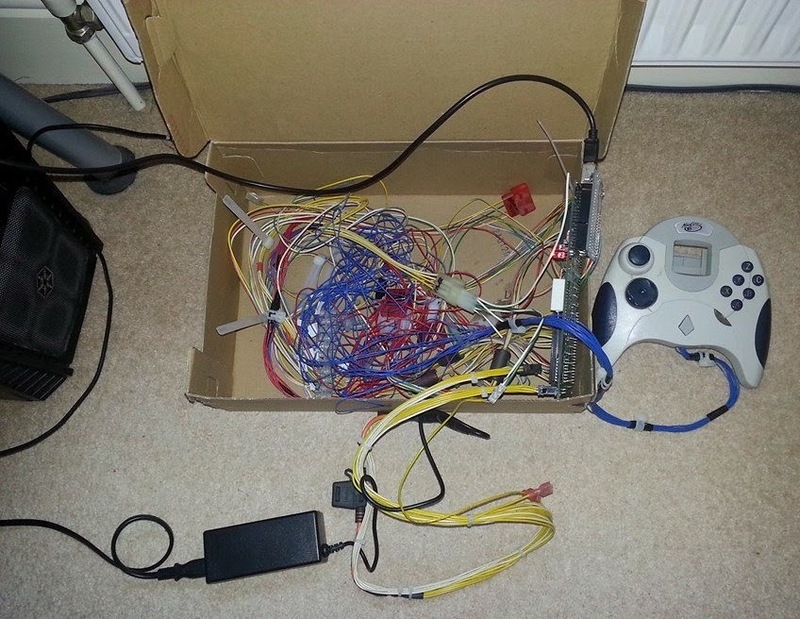 A modern PC connects to an Arduino which in turn is connected to the CannonBoard hardware. 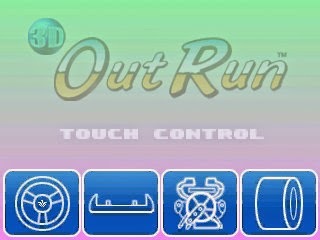 The OutRun controls then plug directly into the CannonBoard hardware. 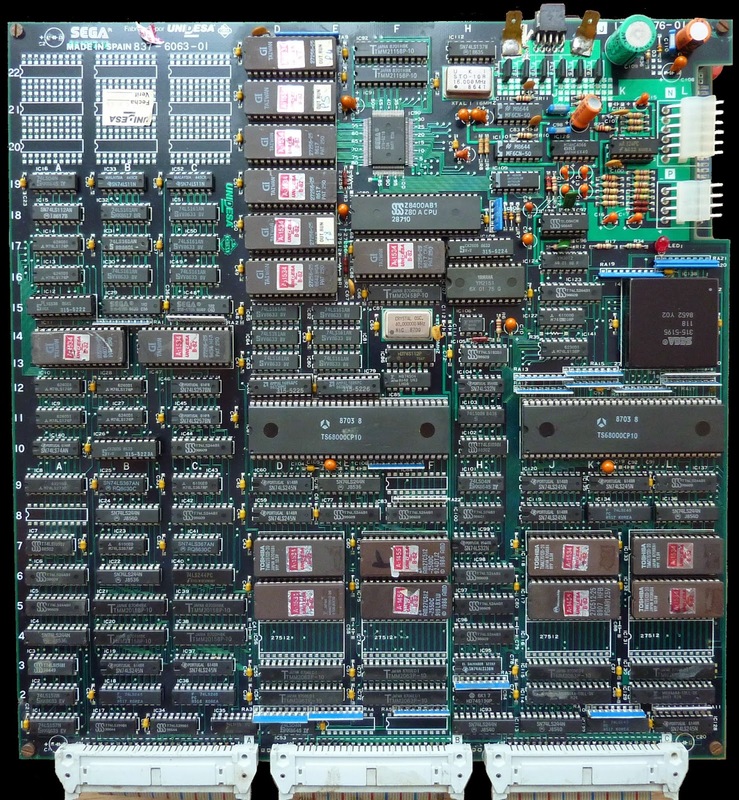 Colin posted me a prototype CannonBoard PCB last week. Click the images for a larger version. Here's a shot from the back so you can see how it connects to the Arduino. 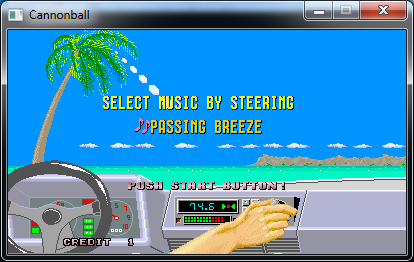 To make testing simpler, I'm using my hacked together OutRun controls. 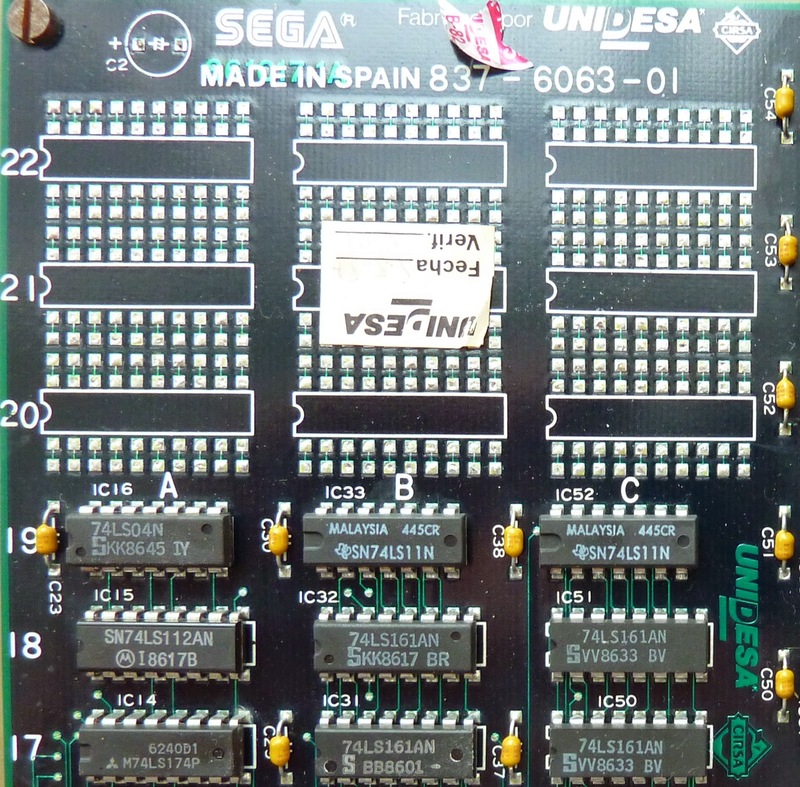 I normally attach these to an original OutRun PCB, but they're perfect for testing this setup. Some LOL wiring here. It all works though. Note the stylish shoebox. 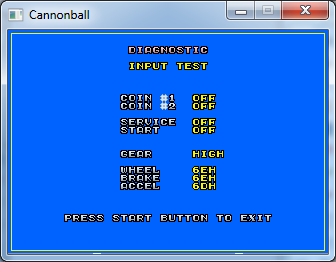 CannonBall is currently working with the controls, which means there's no reason this shouldn't work with the original controls in a proper cabinet now. I've sent a test version back to Colin to play around with. 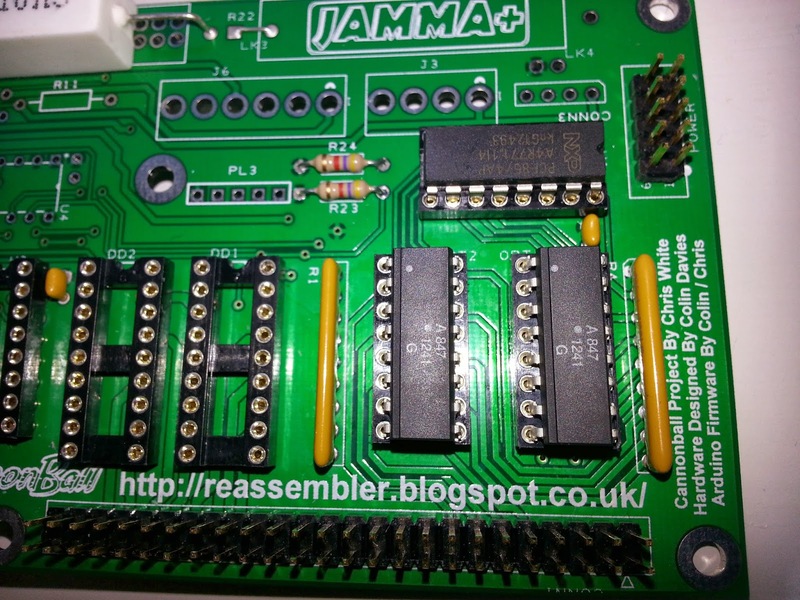 In the meantime, I'm just pleased to have my name on a PCB. I have another project in the pipeline - Project Baby. It's due to start any day now and will likely consume a fair chunk of time ;) Aside from that, I'll be working on the CannonBoard interface mostly during my moments of spare time. 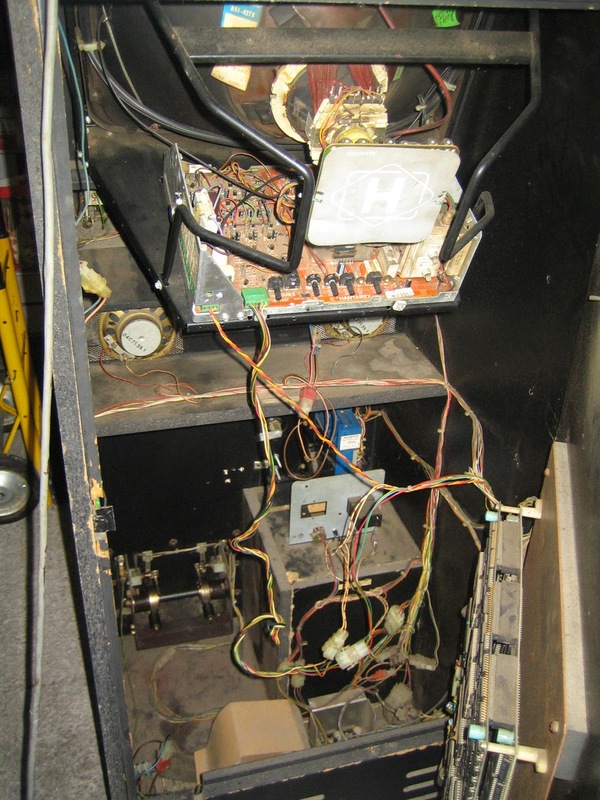 I'm looking forward to getting the motor outputs hooked up among other things. 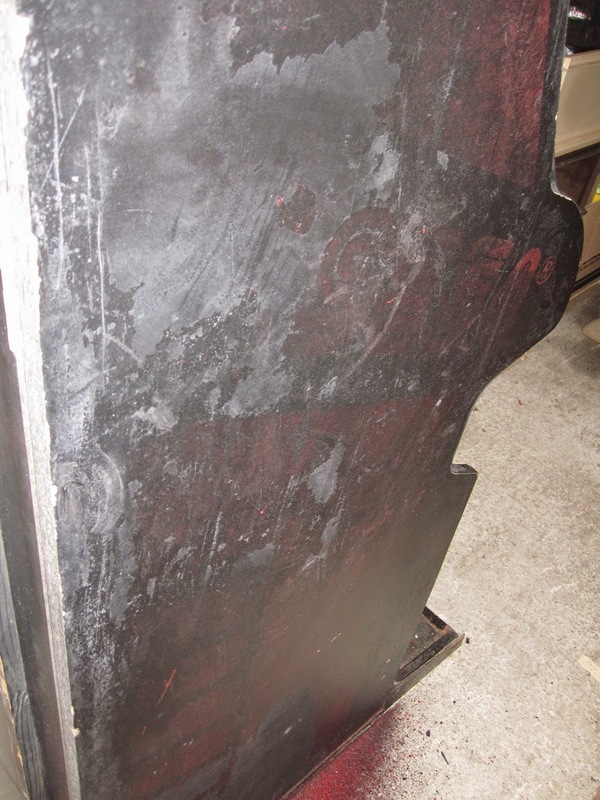 Colin Davies has been making solid progress on the CannonBoard project. 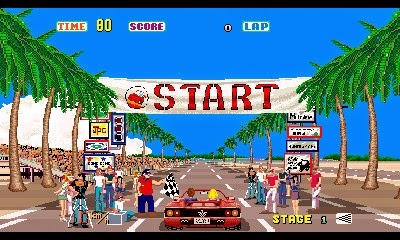 This is the plug and play hardware interface that allows you to cleanly swap a modern PC into an original OutRun cabinet and run CannonBall. "The audio is now hooked up to the original connectors. There is also a power supply input and dummy experimental load resistors to keep the Outrun PSU happy as it requires a minimum load (about 1 amp / 5 watts). 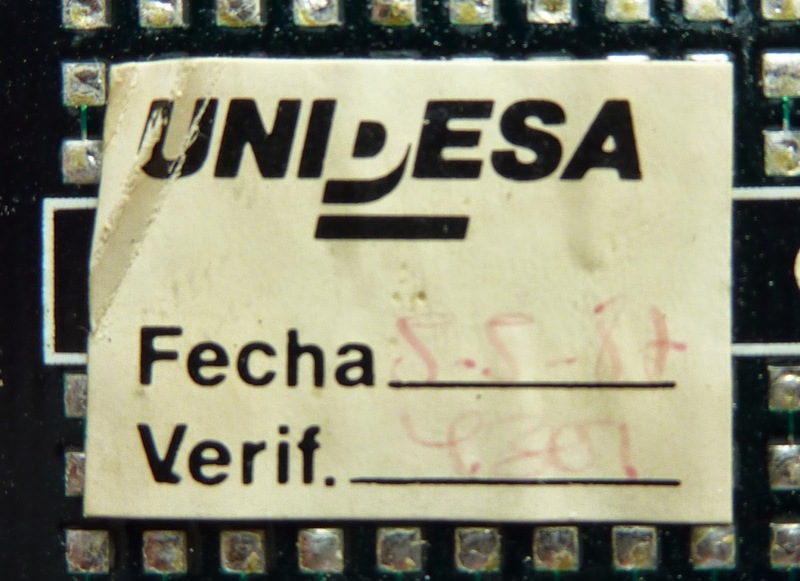 This is important to balance the 5v for reliability and for the rest of the electronics on board to function. 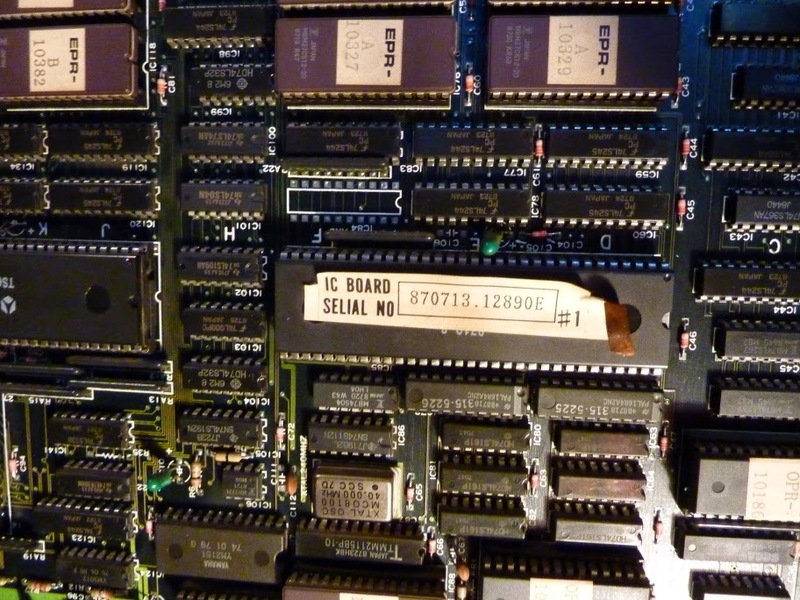 It will be optional whether the board runs from the Outrun 5v or the Arduino 5v." 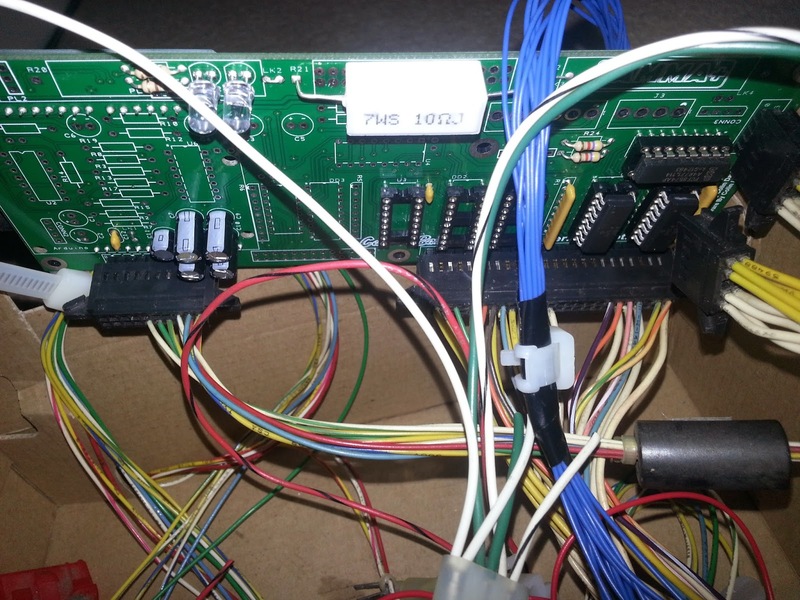 The analog inputs still need to be hooked up; you can see the I/O layout below. 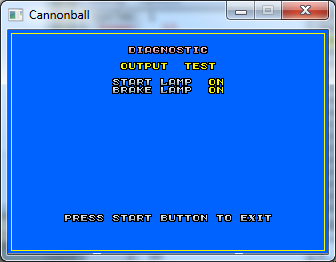 Soon we'll be at a point where we can start running some tests with CannonBall.